Blogosfera TECNALIA > Inspiring Blog > Actualidad de TECNALIA > Welcome to TECNALIA. Happy Christmas! Welcome to TECNALIA. Happy Christmas! Watch our Christmas Film to welcome in the new year! Opening up your home. Asking the people you love to come in. Taking a break from your everyday routine. Showing people what you’re really like. 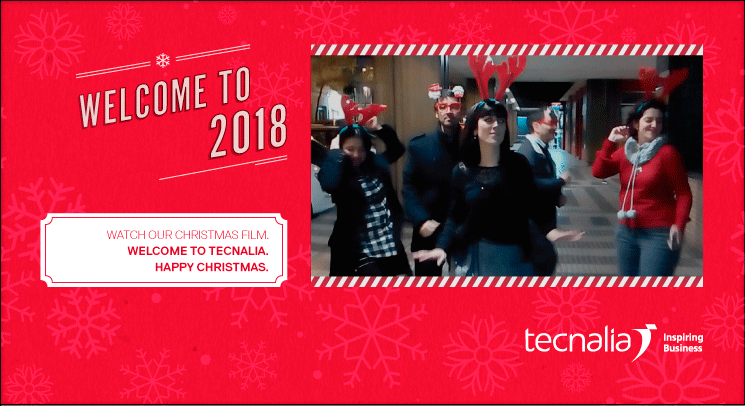 Since the very beginning, at TECNALIA we have always been open to companies, society and innovation, and this time of year we want to be especially close to people. Close to you. Welcome to our home. Come and get to know us a little better. And remember that we’ll continue to work with you to face new challenges in the future. But for now, let’s just enjoy the moment. Let´s welcome in the new year TOGETHER. Enjoy the holidays and… all the best! The future is for you.